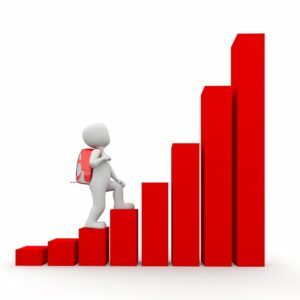 What does it mean when your portfolio is up 10%? You receive portfolio performance reports every three months—a form of transparency that financial planning professionals introduced at a time when the typical brokerage statement was impossible to decipher. But it might surprise you to know that most professionals think there is actually little value to any quarterly performance information, other than to reassure you that you actually do own a diversified portfolio of investments. It’s very difficult to know if you’re staying abreast of the market, and for most of us, that’s not really relevant anyway. The only way to know if your investments are “beating the market” is to compare their performance to “the market,” which is not easy. You can compare your return to the Dow Jones Industrial Average, but that index represents only 30 stocks, all of them large companies. Most peoples’ investment portfolios include a much larger variety of assets: U.S. stocks and bonds, foreign stocks and bonds, both including stocks of large companies (large cap), companies that are medium-sized (midcap) and smaller firms (small cap). There may be stocks from companies in emerging market countries like Sri Lanka and Mexico. There may be real estate investments in the form of REITs and investment exposure to shifting commodities prices, like wheat, gold, oil and pork bellies. In order to know for sure that your particular batch of investments outperformed or underperformed “the market,” you would need to assemble a “benchmark” portfolio made up of index funds in each of these asset categories, in the exact mix that is in your own portfolio. Even if you could do that precisely, daily, weekly and monthly market movements would distort the original portfolio mix by causing some of your investments to gain value (and become larger pieces of the overall mix) and others to lose value (and become smaller pieces), and those movements could be different from the movements inside the benchmark. After a month, your portfolio would be less comparable to the benchmark you so painstakingly created. Many professionals believe that there are several keys to evaluating portfolio performance in a meaningful way—and the result is very different from comparing your returns with the Dow’s. 2) Compare your performance to your goals. Your financial plan indicated that your investments needed to generate (let’s suppose) 5% returns above inflation in order for you to have a great chance of affording a long, comfortable retirement. If that’s your goal, then chances are, your portfolio is not designed to beat the market; it represents a best guess as to what investments have the best chance of achieving that target return, through all the inevitable market ups and downs between now and your retirement date. If your returns are negative over three to five years, that means you’re probably falling behind on your goals—and you might be taking too much risk in your portfolio. 3) Recognize that some of your investments will go down even in strong bull markets. The concept of diversification means that some of your holdings will inevitably move in opposite directions, return-wise, from others. Ideally, the overall trend will be upward—the investments are participating in the growth of the global economy, but not at the same rate and with a variety of setbacks along the way. If you see some negative returns, understand that those are the investments you’re counting on to give you positive returns if/when other parts of your investment mix are suddenly, probably unexpectedly, turning downward. That doesn’t mean you shouldn’t look at your portfolio statement when it comes out. Make sure the investments listed are what you expected them to be, and let your eye drift toward the longer time periods. Notice which investments rose the most and which were down and you’ll have an indication of the overall economic climate. And if your overall portfolio beat the Dow this quarter, or over longer periods of time, well, that probably only represents white noise.